Innerspring mattresses for heavy people provide the much needed support and comfort a bigger person demands. With the world going memory foam crazy, are innerspring mattresses still a viable option for the heavy person?. With the many pros and cons to any type of mattress, it can be difficult to decide which one is right for you. The biggest con for an obese or overweight person when sleeping on a innerspring mattress is generally the discomfort when laying on your stomach. While most mattresses tend to have a lifespan of around 7 years, I’ve found that innerspring will typically need replacing around the 5 to 6 year mark. So this too can be considered a con, as you may know, innerspring mattresses aren’t exactly the cheapest. But to help make the buying decision easier, I have listed some suitable big person approved innerspring mattress below. But before we get to that, lets look at why many larger people tend to go for a innerspring mattress over others. 7 Best Type Of Mattress For A Heavy Person? An innerspring mattress is a mattress that has an internal support system comprising of steel. However not all mattresses use the same types and formations of coils. The spring systems can vary in size, shape, coil gauge, the type of system (Single connected springs or individually wrapped coils), and the number of coils. Typically speaking, the more coils the mattress has, the greater support the mattress offers. This is especially important for the heavier person as the stress put on the mattress can be high. A larger number of coils is certainly one thing to consider when buying a innerspring mattress when you weight more than 250 pounds. The greater the number of coils usually results in a better contouring mattress as well. This will result in a more supportive and comfortable sleeping surface for us heavier folks. Out of all the mattress types, innerspring mattresses provide the best edge support. As a heavy person, the last thing you want to do when you sit on the edge of your bed is sink down 6 inches. The superior edge support and all round body support are the main benefits to choosing innerspring. As a big Man myself, sweating during the night is a huge thing for me. So minimizing the heat retention is critical in choosing a mattress. Innerspring mattresses distribute heat much better and cool the bed down considerably compared to a traditional memory foam mattress. But in saying that hybrid memory foam innerspring mattress have evolved over the years to provide a solution to the lack of heat distribution associated with memory foam. Another benefit innerspring mattresses offer heavy people is that they are generally thicker than other options. Because we weigh more, we squash the mattress more. So a thin mattress simply wont do, unless you don’t mind sleeping on a scrunched up hard surface. Because innerspring mattresses can be up to 15 inches thick, they make for the perfect thick and supportive foundation for the heavier person. Many hybrid mattresses these days utilize a good thick spring base topped off with cooling foam qualities. While a mattress may be labelled as 12″ thick, it may in fact only have a 6″ thick innerspring base. So be sure to check just how thick the actual innerspring layer is. A 10 inch thickness is minimum for a person weighing over 250 pounds from my experience. A high quality mattress can really set you back a lot of money, so its not too often you come across a gem like the Suiforlun 14 Inch Hybrid Gel Memory Foam and Innerspring Mattress. Its a beautiful hybrid mattress with a price tag that won’t scare you away. *Available on amazon here in Full, Queen or King. In terms of being suitable for overweight people, the Suiforlun ticks all the boxes. Here’s why this mattress is a great choice for the heavier couples. Minimal sag. Even as a bigger person the Suiforlun holds up well to sagging. Even when in the center of the mattress. Thick 14″ mattress with individually wrapped coils double that of many mattresses. Great body support. Due to the thickness and the pocketed wrapped coils, the mattress offers the best kind of spring support. Individually wrapped coils means that there is less movement in the bed when one person rolls over or gets up. Causing minimal movement for the second person in bed. Even when its two overweight people in the bed at the same time. Non slip edging. While it’s a hybrid mattress, the foundation of the individually wrapped coil system is firm enough that when you sit on the edge you don’t slide down. However, it’s not as firm or bouncy as a full innerspring mattress. Soft but firm to sit on the outer edge. Doesn’t get too hot. My biggest turn off in a bed is getting too hot. Fortunately this Suiforlun mattress utilizes ‘gel’ memory foam and a bamboo cover for breath-ability and heat distribution. While some people are deterred by hybrid mattresses as they can be less supportive, I think the Suiforlun has created the perfect blend of support and comfort in this mattress. It has just the right amount of memory foam with a layer of gel infused foam for letting your body heat escape while being supported by a dense individually wrapped coil system. In terms of firmness, I’d say it’s right in the middle. Not too soft and not too hard. Supportive enough for 2 heavy people yet soft enough that you don’t feel the innersprings which can be a huge issue for people that weight more than 250 pounds. A very good choice for heavy people and best of all it doesn’t cost as much as I would have thought. When two heavier people sleep on the same bed, chances are the bed has to be either king or California king. Finding an innerspring mattress for a California king bed is not the easiest. Fortunately this Swiss Ortho Sleep mattress comes in California king size as well as Queen and King. So bigger couples can get the space and freedom they need. Best part is it’s a cheaper mattress yet it is still quite high quality. For a plus size couple, the comfort of the mattress starts with the amount of support it offers. Which is something I really like about the Swiss Ortho Sleep, it offers a very thick portion of individually pocketed springs to provide some serious support. The mattress is in total 12 inches thick. The innerspring foundation is a good 9 inches thick. So 3/4 of the mattress is designed for offering you complete body support. Which is what makes this mattress a very good and affordable choice for heavier couples. What most people are not aware of when buying a mattress is just how important the coil thickness is inside the mattress. While individually wrapped coils (like this mattress) offers superior conformity, buying one with thin coil can lead to devastation for a big person. Understanding the coil gauge ratings is important if you want a innerspring mattress to last the full 5-7 years lifespan. Most coil mattresses have a gauge rating of between 12 and 17. For pocketed systems like this its usually 14 to 17. The higher the number, the thinner the coil system is. The thinner the coils the quicker the bed can deteriorate, especially with heavy weights being used on them on a daily basis. The Swiss Ortho Sleep has a gauge rating of 14 which is right in the sweet spot for individually pocketed systems. This means the springs are the thickest and will last the longest while handling heavier weights better. Where this mattress falls behind slightly is with the memory foam layer. It’s not gel infused so it will retain body heat. Which is good for those cold nights, but not so good on the hot nights. However the fact it’s a 9 inch thick innerspring mattress means greater air flow in general. Plus the top bamboo cover allows for greater heat distribution as well. Considering the price of this mattress, I think the lack of gel infusion is not a big deal. The extra support is the biggest feature of this mattress in my opinion. While we briefly touched on coil gauge above and how it is great for heavy people, another important consideration is the firmness of the bed. 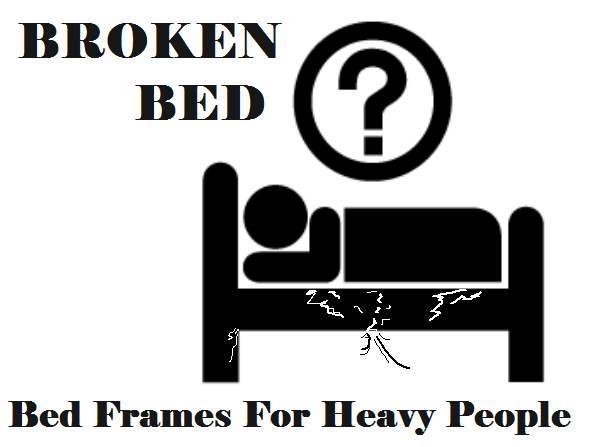 a heavy person weighing 500 pounds needs a extra firm innerspring mattress. This Pure Echo by My Green Mattress is just that. With a coil count of 1074 for queen size, it’s on the heavier side of number of coils. 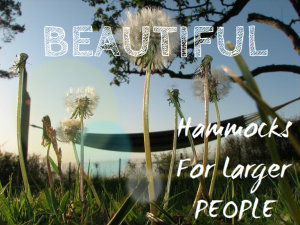 Which is great for heavier people as there are more springs to support the extra weight. The only problem of course is that it weighs a ton. When you pack that many coils inside a mattress, the thing is going to be heavy. So I highly recommend getting someone to help you transfer this mattress onto your bed. Don’t try and solo it or you may injure yourself. Now that you know this is a firm mattress and not a soft one where you sink to the bottom, lets get to know the Pure Echo a little better. For starters, its a double sided mattress. Hallelujah right!. As a big person I know the imprint one can have on a mattress and when the mattress is only one sided you can quickly go through the lifespan of a mattress. So this one being double sided is a great thing for us heavier folks. Its also a ‘green’ mattress meaning its made without toxic chemicals or foams consisting of polyurethane. The organic cotton that surrounds the pocketed coils is also GOTS certified. Which means its passed the seal of approval from the global standards which demands a minimum of 95% organic cotton used in this mattress. Its also made in the USA. What makes this mattress a little different is that is uses 3 zones of pocketed innersprings. Where a regular mattress like the above Swiss Ortho Sleep is a continuous 14 gauge coil, this Pure Echo has 3 zones which offer different gauge ratings to cater to the support needed of the user. So basically the coils gauge in the middle of the bed are lower to provide the greatest amount of support where the majority of the body weight lays and the head and feet area are more responsive with a higher gauge rating. The mattress in total is only 11 inches thick, but as it’s a high density coil system the thickness is justified by the amount of support offered. Available in sizes twin to king and can be used on just about any foundation including platform beds. The extra firm option available from Beautyrest are what make this another great choice for the heavy people. Why?. Because it uses 800 individual coils with a gauge rating of 13.75 and is a complete 13 inches thick. So its well supportive with thick and strong coils and a nice thickness to bump up the bed height. While it is extra firm, Beautyrest give you the opportunity to choose between plush to firm and extra firm on this ‘Silver’ edition mattress. Why extra firm is good for the larger people?. Many of us bigger people experience back pain and waking up in the morning feels like you have been hit by a truck. This is no coincidence either. When you wake up feeling like you have been run over and the back is throbbing, chances are the mattress is too plush. On a soft and plush mattress, your back muscles will continuously fight the feeling of sinking while your asleep. So they don’t get a rest. Which is why a firm supportive bed is better as the muscles can relax. Being a larger person, there’s more body to support and when the mattress is too soft, the body naturally works overtime to feel supported. So if you go with the extra firm 13.75 gauge innerspring coil mattress, you may be concerned that its like sleeping on concrete. Or perhaps like a firm hotel grade mattress which many have compared this mattress too. The Beautyrest Silver does utilize enough gel foam to keep this mattress nice and firm, yet soft enough to lay on. But in saying that, it is a firm mattress, so don’t get me wrong. If like firmness, then you seriously have to check out this mattress. It’s on par with the firmest mattresses I have tried which cost double the price. *Available in sizes from Twin to California King. Best Type Of Mattress For A Heavy Person? If the above mattresses don’t suit your needs or budget, you are going to have to continue your search. But before you do that, its important to remember a few things us bigger persons demand from a mattress and the key components to consider. This is probably the most important feature to consider as a heavy person. This is where the majority of the support our bigger bodies lays. Remember the lower the coil gauge number the thicker the coils are for greater support and longevity. Coil gauge numbers above 15 are not big man approved. Coil count is also important but also a reflection of the coil gauge number. If a mattress has 800 coils but a weak 17 gauge coil rating, chances are a heavy person will tear through those coils rather quickly. I’d look for between 800 and 1100 coils for a queen to king mattress with a gauge rating around 14. Look for a mattress that has some form of cooling memory foam such as these ones. Memory foam has evolved over the years and doesn’t have to be known as the bed that makes me hot and sweat anymore. Especially important for couples that are overweight. 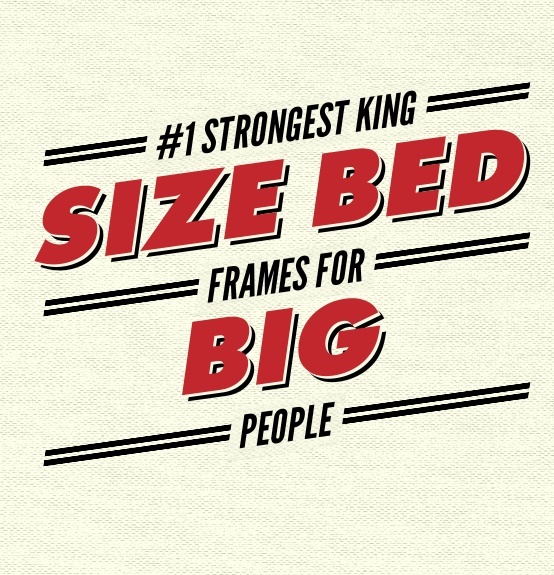 The bigger you are the thicker the mattress should be to provide ample support. Nobody wants to sleep on a flat sandwich. Many mattresses don’t specify a weight limit which can make it difficult for the heavy person to decide. These mattresses with a weight capacity are quite rare to find. If a mattress does specify a weight capacity, don’t be temped to bypass this if you are heavier than the stated weight. Not only could it be dangerous, but will most likely void any warranty on the mattress. Stick with the above guidelines and read plenty of reviews before buying. A mattress consumes a third of your life, so you really want to buy one that will do the job correctly the first time and every time you sleep. If these innerspring mattresses for heavy people aren’t what you are searching for and you find a better alternative, please do share your recommendations in the comments below so other heavy people can benefit.